The day you’ve been waiting for is finally here, well, in a couple of hours to be exact but we don’t have to wait for MWC 2013 to officially start to see the exciting mobile things we can look forward to, Samsung has already unveiled the 8” Samsung Galaxy Note 8.0. First up, the brand new 8” tablet comes with a resolution of 1280 x 800, giving it a pixel density of 189ppi, that’s slightly higher than its direct competitor, the iPad mini. Beneath that 8” display is a 1.6GHz Exynos 4 Quad-Core processor with a moderate 5MP rear camera and a 1.3MP front shooter. Other specs include 2GB of RAM, up to 32GB of internal storage that is expandable via microSD storage, and a generous 4,600mAh battery at the back. 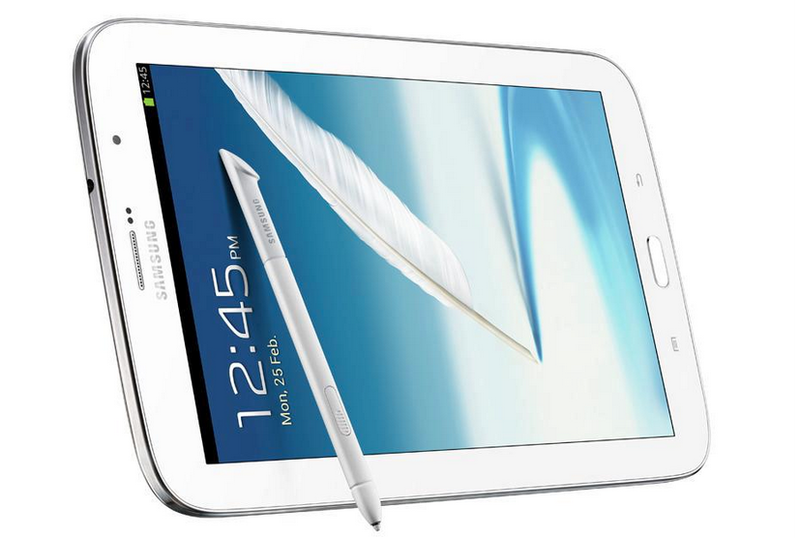 But the Galaxy Note 8.0 is more than just a gigantic Galaxy S III or a Note II XL, the S Pen plays an important role in the Note lineup of devices and this time round, it allows you to do more than before. On top of all the usual stuffs, you can now use the S Pen on the default buttons at the bottom – back and menu. Samsung will be shipping the Note 8.0 with Flipboard preinstalled, allowing you to preview news simply by hovering over it with the stylus. Other features include an e-reader mode that automatically changes the LCD settings to a comfortable level, Peel-based Smart Remote app which uses IR to act as your interactive TV guide and remote control, Awesome Note, and more. Hit the break for the press release and before we forget, the international version of the Galaxy Note 8.0 will come with phone capability too but please don’t ever attempt to use it against your face, unless you wish to be publically humiliated by everyone. The device is scheduled to hit the Europe and Asia market in the second quarter of 2013.